Here at Tyme Auto Transport, we value your time as much as our own. Our mission is to provide the best possible experience when transporting your vehicle from point A to point B. We cater to Dealers, Auctions, Relocations companies, Rental companies, and personal customers. 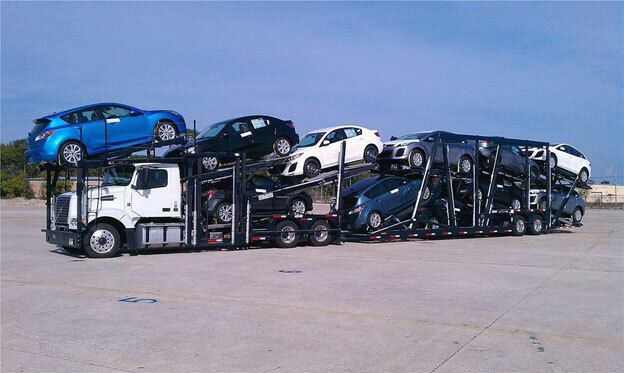 Using our network of over 5,000 trucks, we can move your vehicle to anywhere, and from anywhere in the United States, including Alaska and Hawaii. We can handle any size move from a single vehicle, to a whole fleet of vehicles. We also offer enclosed vehicle transport, for those rides that need a little extra love, and inoperable transport for the mechanics specials. We ensure that all drivers are licensed and insured prior to hauling any vehicles for us. Give Tyme a call and see how we can help move you forward.